Featured on "Dark Shadows: Phantom Melodies"
Hey, just to warn you this is a whole new look and feel of the website so a whole tonne of stuff will probably not be working properly yet. If you find something frankly askew, adrift or awry send me a message by the Contact page and I'll try and get it sorted. Ta! Recently I’ve written and directed a short audio drama Glassmaker’s Lane for What Noise Productions which is in post-production now. And the 13-part mystery serial Dark Shadows: Bloodline I’ve co-written for Big Finish Productions is now available for pre-order. It’s also just been announced that I’m one of the writers of its follow-up serial Dark Shadows: Windcliff and that’s soaking up all of my free time. A review I wrote for We Are Cult regarding the newly expanded editions of Bananarama’s 2001 and 2008 albums “Drama” and “Viva”. 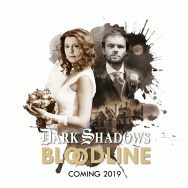 The first character trailers for Dark Shadows: Bloodline are now online courtesy of Big Finish Productions. More will follow in the new year, but in the meantime enjoy these special few. So, this week, Big Finish announced the plans for the next couple of years of Dark Shadows, and amongst those plans are two 13-part mini-series I’m involved with writing, plus a whole host of other goodies if you like a spooky mystery! 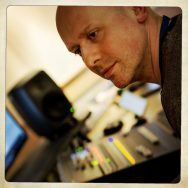 Last night was the night of recording for the four stories that will make up the next What Noise Productions Quartet CD, entitled “Hero”. As the writers also have to direct, this means last night was my directorial debut too. I was terrified at first, but really loved it by the end. 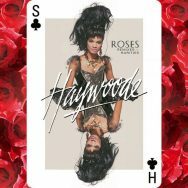 A review I wrote for We Are Cult regarding the original Haywoode anthology “Roses (Remixes and Rareties)”. I’m a software trainer by day, writer, booze-hound and international DJ by night. This is my space on the web. “Behold my works ye mighty and despair!” (because I know I often do). RT @robholley: Eurovision Inception featuring Nicki French dancing to Brotherhood of Man... and SuRie’s dog’s reaction.